Our product range includes a wide range of automatic ffs packing machines and kurkure snacks packing machines. 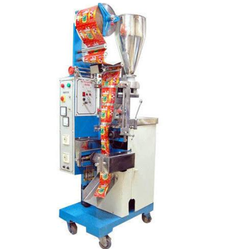 Royal food processing and packaging machines organization has huge appreciation as a flourishing organization for providing Kurkure Snacks Packing Machines. Offered packing machines are manufactured using the finest quality components and innovative technology under the guidance of proficient personnel. The provided packing machines can be availed in different specifications and designs so as to fulfill the needs of our patrons. In addition to this, we offer these packing machines to our clients at affordable prices.